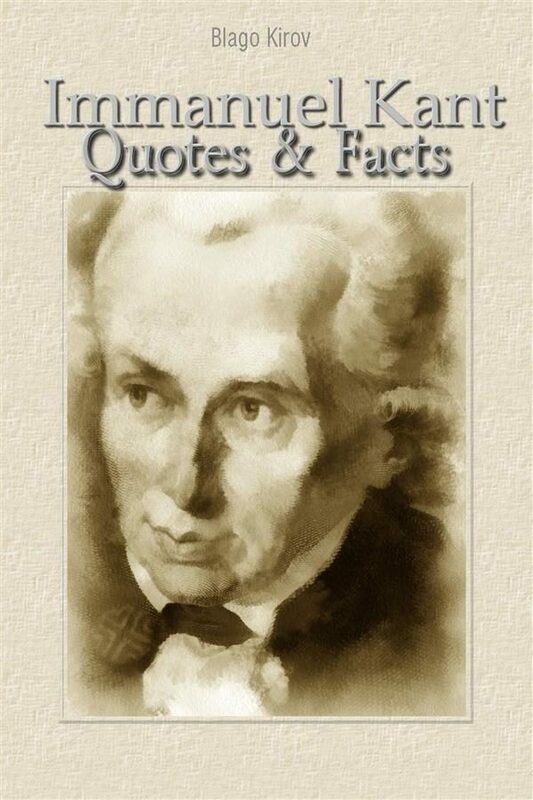 This book is an anthology of quotes from Immanuel Kant and selected facts about Immanuel Kant. “All our knowledge falls with the bounds of experience.” “From such crooked wood as that which man is made of, nothing straight can be fashioned.” “Give me matter, and I will construct a world out of it!” “Happiness is not an ideal of reason, but of imagination.” “Human reason is by nature architectonic.” “I had therefore to remove knowledge, in order to make room for belief.” “I have no knowledge of myself as I am, but merely as I appear to myself.” “Ingratitude is the essence of vileness.” “It is not God's will merely that we should be happy, but that we should make ourselves happy.” “It is precisely in knowing its limits that philosophy consists.” “Live your life as though your every act were to become a universal law.” “Nothing is divine but what is agreeable to reason.” “Only the descent into the hell of self-knowledge can pave the way to godliness.” “Science is organized knowledge. Wisdom is organized life.” “The death of dogma is the birth of morality.” “To be is to do.” “Two things fill the mind with ever-increasing wonder and awe, the more often and the more intensely the mind of thought is drawn to them: the starry heavens above me and the moral law within me.” .